All too often nowadays we see children with their heads buried in their smartphones or tablets or playing video games or watching TV on the couch. This type of play behavior has become more of the norm than the exception. The days of kids running around outdoors or playing with action figures and/or dolls seems to be long gone for many children. The other night we were out to dinner with the kids and we noticed a family of four sitting across from us in the restaurant. The both kids and parents had their noses buried in some smart device. They weren’t even talking to each other at the dinner table. I must say it was sad to see this interaction. When we eat meals at our house all electronic devices are banned from the table. It is time for eating and light conversation. Getting back to how kids play and entertain themselves nowadays I was thinking about ways to get kids engaged with creative and crafty things. Ever since both of our children were younger we would set aside time for arts and crafts, drawing, board game night, charades, cards, and more. It is so important to a child’s development to engage their senses and various types of skills. Even something as simple as playing dolls with your children stimulates their creativity and improves many areas of cognition and imagination. One toy that my daughter has really grown to love are Shopkins. They are a range of small, collectible toys, manufactured by Moose Toys. Based on grocery store items, each plastic figurine has a face and unique name. The collectible toys (which are designated as common, rare, ultra-rare, special edition, and limited editions) have also spawned a line of books and trading cards, as well as a YouTube channel. My daughter just loves opening the tiny cute boxes of Shopkins and playing with them for hours. She has even made her very own unique carrying case and holders. Whenever her friends come over to the house for a playdate they go right to her room and take out the Shopkins. I very rarely see them interested in TV or video games when then the Shopkins are out, that must say something. I am glad to see that there are toy companies out there like Moose Toys who create interesting and stimulating toys for our children to play with. Like these Shopkins Happy Places surprise delivery come with 30 boxes and hours of unboxing fun. 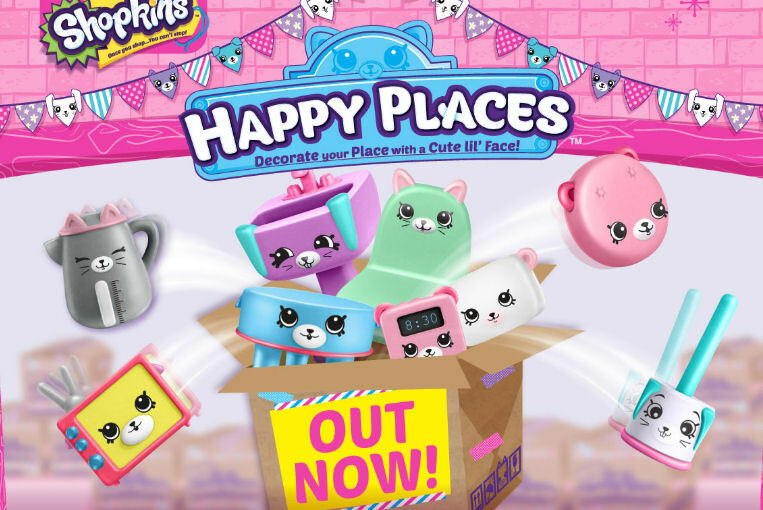 Shopkins-themed, Happy Places features mini-versions of your favorite Shoppies, called Lil’ Shoppies, who live in the Happy Home where tiny Shopkins characters decorate the space and every single piece of furniture has a cute Petkins face. With the extra tiles that come with the collector packs, kids can extend the Happy Home to create add-on rooms for even more decorating fun. 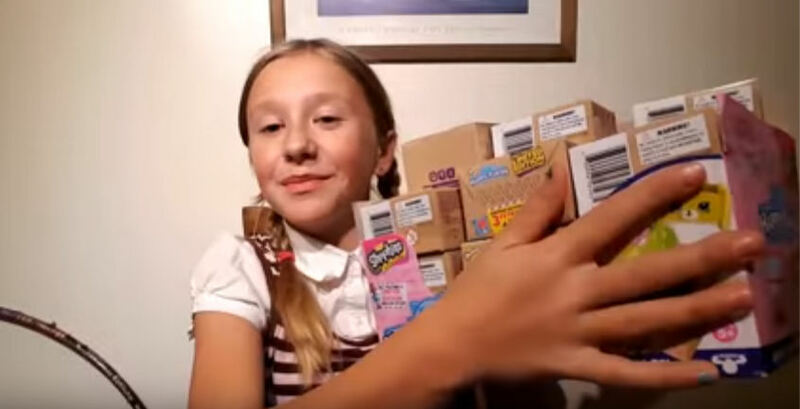 Check out the quick unboxing video (below) of my 10 y.o demonstrating what adorable petkins could be found in surprise delivery boxes. 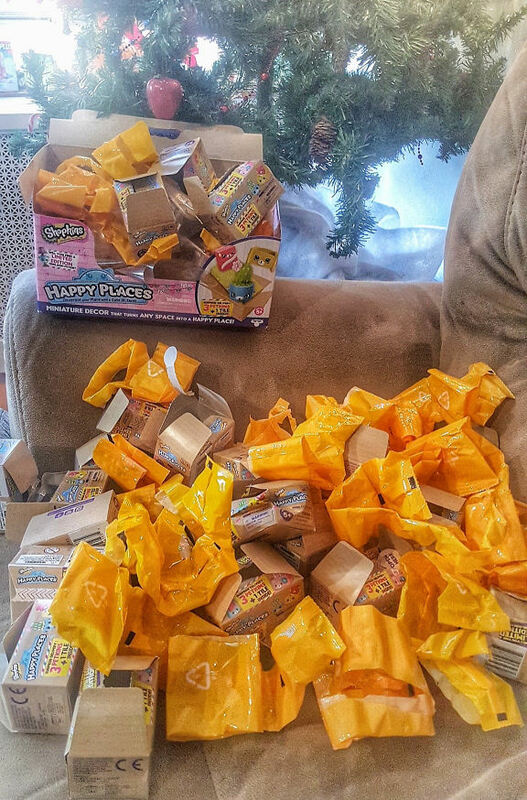 If someone you know already has a large collection of Shopkins and you are not sure what they have and do not have, give them a few Happy Places Surprise Delivery boxes! Kids can collect different pieces for their Happy Places, and you never know what you are going to get! Will they find a limited edition Heirloom petkin? 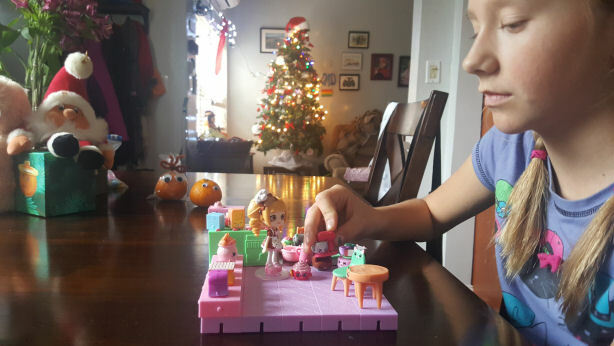 What do you love about Shopkins Happy Places? My niece LOVES Shopkins! She’d think this set was awesome! These are cute… I’m so excited to give to my daughter. She requested Season 5 though. Also I got 30 Shopkins shopping baskets. Check out ebay has a great deal..